Green Rainbow Midi Toto bag fabric pack; Kaffe Collective fabric, fusible fleece and pattern included. Volume approximately 8"x8"x12". Red Midi Toto bag fabric pack; Kaffe Collective fabric, fusible fleece and pattern included. Volume approximately 8"x8"x12". Blue Mondo Toto bag fabric pack; Kaffe Collective fabric, fusible fleece and pattern included. Red Mondo Toto bag fabric pack; Kaffe Collective fabric, fusible fleece and pattern included. 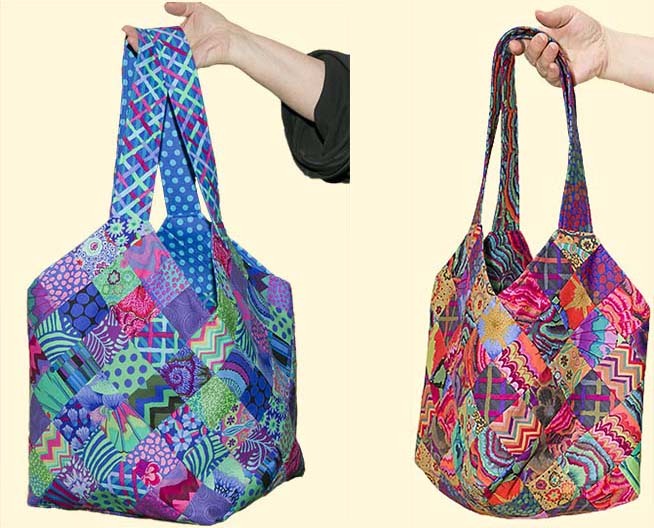 Additional Midi bag pre-printed interfacing--no pattern. Sold by the panel. One panel makes one Midi bag. Additional Mondo bag pre-printed interfacing--no pattern. Two panels make one Mondo bag. Sold in sets of two panels.